On the corner of St. Peter Street (formerly Prison Lane) and Brown Street stands St. Peter’s Church. 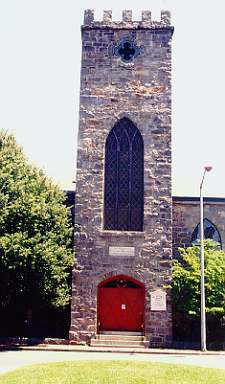 Founded in 1733/34 as the first Anglican Church in Salem, the original church building was a yellow, wooden structure, built on land donated by wealthy Salem merchant Philip English. The present granite building was designed in 1833 by Isaiah Rogers and was enlarged in 1845/46. The chapel was added to the rear of the building in 1871, at which time some of the gravestones were moved to the front of the church. The buried are still under the chapel, including the remains of Philip English, who died in 1736 and was buried in the churchyard. There is no stone marking Philip English’s final resting place. Philip and Mary English were accused of witchcraft in late April of 1692, examined and held for trial in May, and escaped to New York by August to wait out the turmoil. As the wealthiest merchant in Salem, English was afforded opportunities others did not have. He was not only able to rent rooms in the Boston jailer’s own home, but had the support of two Boston reverends, Samuel Willard and Joshua Moody, who helped arrange the couple’s escape. Though English and his wife Mary were able to escape, ultimately saving their lives, they forfeited an enormous £4000 bond upon fleeing. English was not a popular man with everyone in Salem. He came from the Channel Island of Jersey, so his first language was French. He avoided paying his fair share of taxes, was quick to sue, and represented a more cosmopolitan lifestyle, which did not sit well with some of his Puritan neighbors. He had also been a supporter of the unpopular Royal Governor Edmund Andros. Above all, English was of the Anglican faith. Upon returning to Salem in the summer of 1693, English was outraged to find just how much of his personal wealth had been stripped in his absence. His belongings had been confiscated by the High Sheriff George Corwin and his own neighbors had looted his home. English would spend the rest of his life suing to regain his property and he would refer to Reverend Nicholas Noyes as a murderer until the end. English died in 1736 at the age of 85. 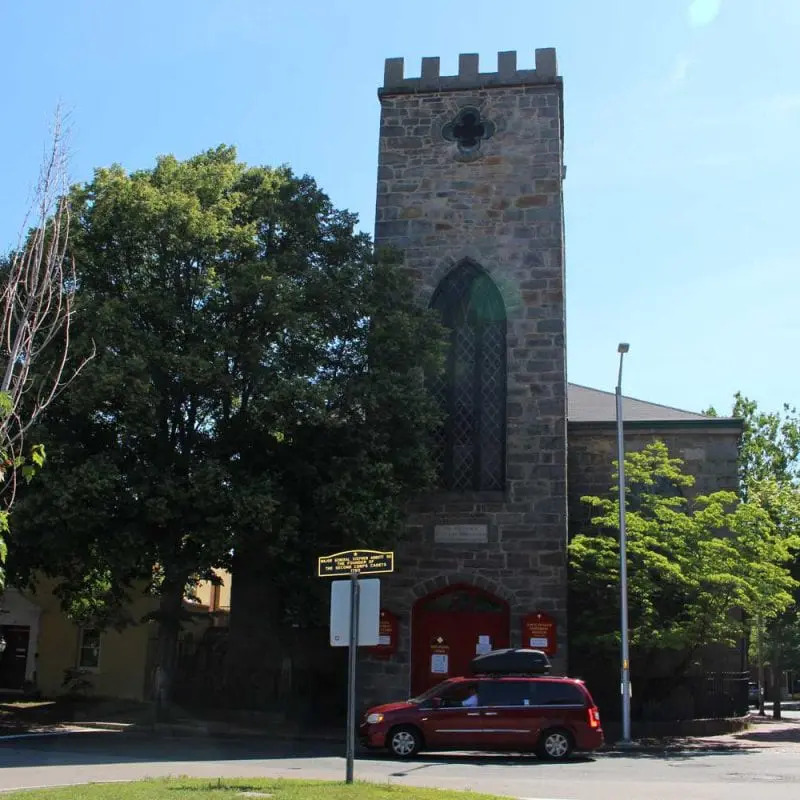 After all of his battles with the Puritan community, it seems an appropriate legacy that he would not only help establish the first Anglican Church in Salem, but that Prison Lane would be re-named St. Peter Street in its honor.